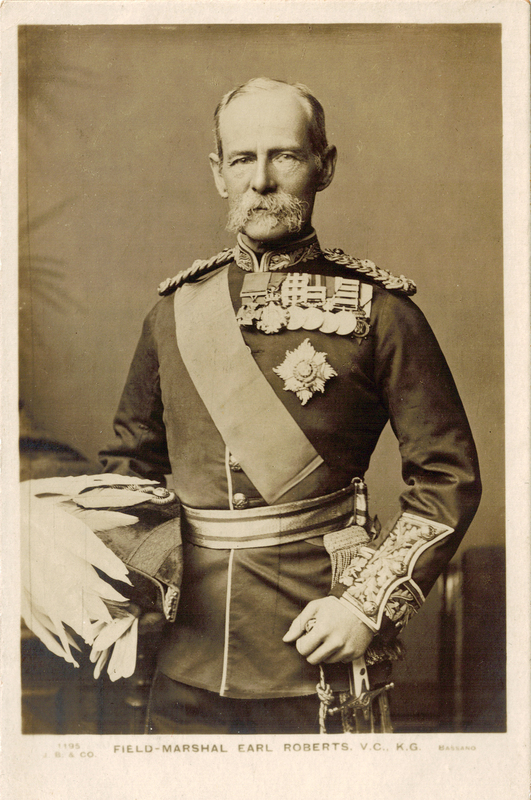 Field-Marshal Earl Frederick Sleigh Roberts (1832 ~ 1914) was a British career soldier and one of the most respected commanders in the history of the British Empire. Roberts became a baron in 1892, which thereafter entitled him to be addressed as Lord Roberts. An hair’s-breadth from his aim. I think you’ll enjoy this 1901 video Lord Roberts’ Visit To Manchester documenting his appearance to distribute medals to Boer War veterans and to unveil a statue of Queen Victoria. The quality is amazing for such an early film! 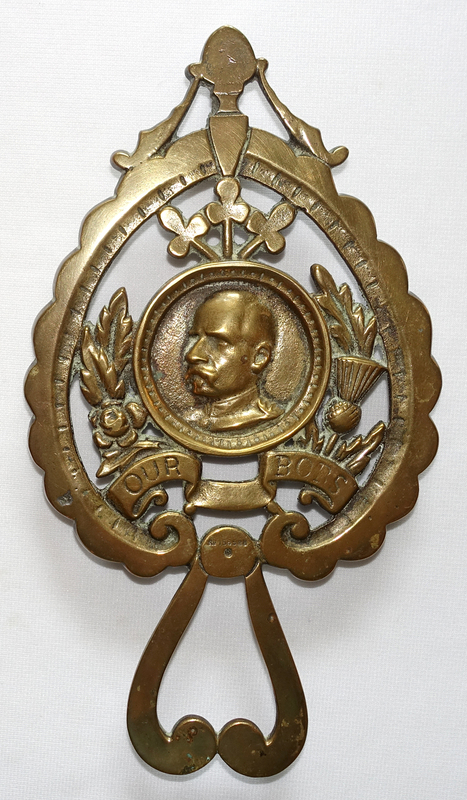 In my collection I have three rare antique brass trivets featuring a likeness of Roberts. None are signed on the reverse. 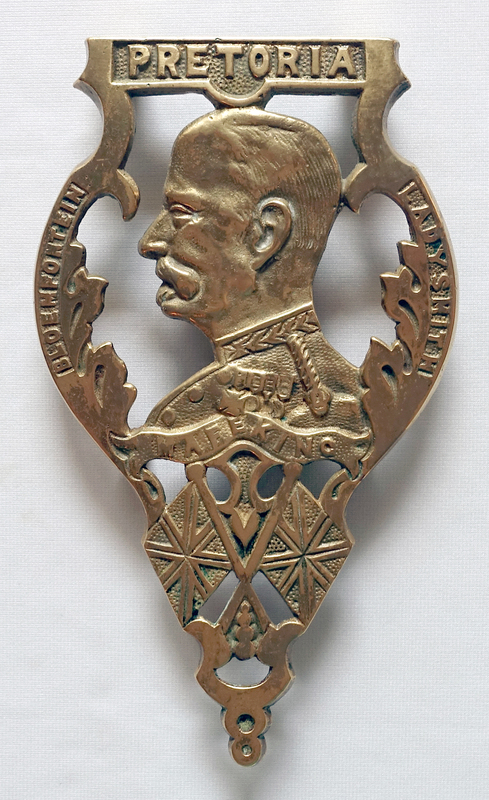 The first two trivets commemorate battles in South Africa during the Boer War, fought October 11, 1889 ~ May 31, 1902. Brass, 7 1/2 x 4 1/2 ” w/three 3/4″ feet. 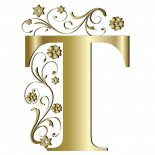 (above) On face: Pretoria, Bloemfontein, Ladysmith and Mafeking. Brass, 8 7/8 x 5 1/8″ w/2 feet, 2 cleats, and center firebar support. (above) On face: Our Bobs and Rd number 156526 (for 1890). Brass, 9 x 5″ w/three 7/8″ feet. The third trivet above is older, with an Rd number dating it to 1890. Roberts wasn’t promoted to Field-Marshall until 1895; prior to that he held the rank of General. The term “Our Bobs” was an affectionate term bestowed by both fellow soldiers and appreciative countrymen. 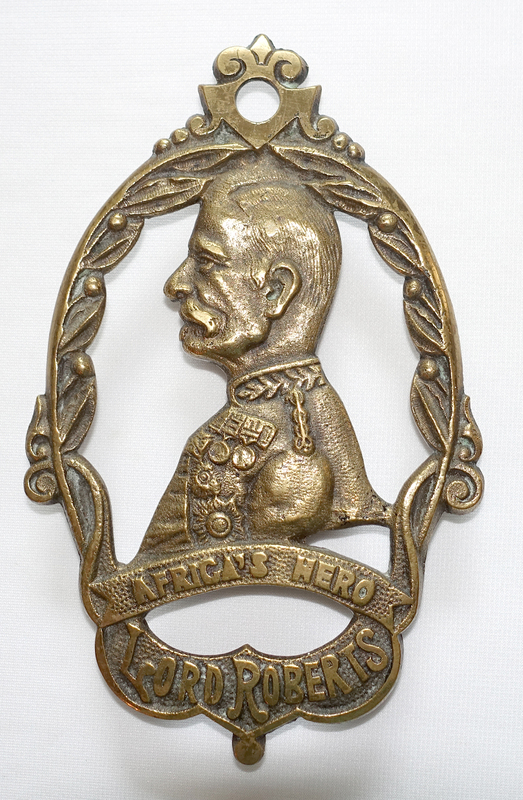 This entry was posted on May 1, 2017 by Lynn Rosack in Antique Trivets & Stands, Ephemera, Great Britain and tagged Boer War, brass, British Rd Number, Field-Marshal Earl Roberts, Our Bobs.